We extend the heartiest welcome at the “26th Cognitive Neuroscience Congress” on December 09-10, 2019 at Dubai, UAE, revolving around the theme “Scientific gathering to unleash the new horizons in the neurocognitive study”. This conference invites all the participants around the globe to share a platform and in order to convey their insights and recent developments in the field of Cognition and Neuroscience. 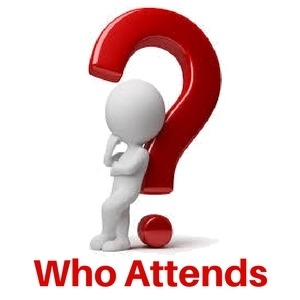 Neurocognitive 2019 Congress itself is an idiosyncratic discussion to inspire the new approaches and put together to unite recognized scholastics, related to neurobiology, Cognition, in-field specialists, Psychiatrists, Public well-being specialists, researchers, Scholarly researchers, trade specialists analyzers to trade concerning the newest research and innovations. The point to arrange this conference is to offer a stage to academicians and specialists with a wide spectrum of disciplines to dialogue and deliberate on a social modification that is encompassed by innovation and technology. This helps to gain more knowledge in a particular field that motivates to do new more researches in a specific area of interest for researchers and students. Cognitive health is the health of the brain and its function wholly and solely. This affects many sorts of functions such as memory, judgment, intuition. In short, if cognitive disorders are there, they can take many forms. One of the common cognitive health related problems is a decrease in mental function, dementia, which generally develops in the later phase of life. Cognitive health decline naturally happens whereas aging however it's age-independent and might be found in any age bracket. Even, other health problems that are not age related also fall under the umbrella of cognitive issues. Like; depression isn't essentially age-related, same with brain injury or vitamin B12 deficiency. Cognitive development includes study in neuroscience and psychology which is concerned with a child’s development in terms of perceptual skill, conceptual resources and several other aspects of a developed adult brain. With reference to the adult, psychological feature development also can be referred to as intellectual development. Earlier it was believed that infants have remained without cognition until they learned a language, but soon after cognitive development study, it was proved that infants are aware of the surroundings and explore since birth. Cognition development depends on cognition which itself is an act of learning. Cognition phenomenon varies person by person because of factors like how a person receives, thinks process and gains an understanding of the world by their own interaction towards it. Cognitive Psychology is the scientific study of mind as an information processor. It involves the study of all the process that persists inside your brain. In addition to that, however, individuals assume and process the information not solely facilitate researchers to achieve a deeper understanding that how the human brain works, however it permits psychologists to develop new ways in which of serving individuals who deal with psychological difficulties. Cognitive psychology has additionally improved our understanding of however individuals type, store, process and recall the memories. Meanwhile, the stress of psychological science shifted far away from the study of conditioned behavior and psychoanalytic notions about the study of the mind, towards the understanding of human information processing, using laboratory investigation. Cognitive approach believes that internal mental behavior is scientifically studied in experimental methods. Cognitive psychology assumes that a meditation method happens between stimulation (input) and response (output). A computer analogy is additionally proven to be very helpful just in case of cognitive psychology and the use of the computational tools to think, however, the human mind handles information is known as the computer analogy. Essentially, computer codes data, stores data, utilize the acquired data and produce an output. Such an idea of using a computer as a tool was adopted by cognitive psychologists as a model of how human thoughts work. Loss of intellectual functions such as thinking, remembering, and reasoning occurs in cognitive dysfunction. Cognitive function is also known as brain fog. The people suffering from the same lose concentration power and face trouble with verbal recall. According to Marshall Pathogenesis, microbes are the causative agents for cognitive dysfunction. Moreover, diseases like Alzheimer’s disease are severe forms of cognitive dysfunction. Foraged cancer patient’s psychological feature dysfunction has several applications. A patient suffering from this need’s special hospitality and special care planning than that of normal patients. Not all patients suffering from cognitive dysfunction in depression, and not all people with depression suffer from cognitive function. Neuroanatomy the study which deals with structural unit and organization of the nervous system. It helps to understand in a better way such that it explains about the networking of nervous cells and tissues. In vertebrates, the nervous system is segregated into the internal structure of the brain and spinal cord which is together called as the central nervous system, or CNS and the routes of the nerves that connect with the remaining parts of the body is known as the peripheral nervous system or PNS. The pairs of terms which is used most typically in anatomy are Dorsal and ventral. Dorsal part loosely refers to the top or upper side, and the ventral part refers to the bottom or lower side. Neuroscience or neurobiology is the study deals with cells of the nervous system and organization of those cells and functions inside the nervous system. It is a subdiscipline of both biology and neuroscience which includes various topics into it. In major, neurobiology is different from the neuroscience as it deals with the scientific study of the nervous system. Neurons are the specialized cells which receive and transmit electrical and chemical signals to one another. The brain is what it is because of the functional and structural properties of interconnected neurons. Molecular neurobiology is the sub-branch of neuroscience which deals with molecular biology that is applied to the nervous system. This topic mainly covers about mechanisms of molecular signaling in the nervous system, the effects of genetics and epigenetics on neuronal development, and the molecular basis for neuroplasticity and neurodegenerative diseases. In molecular neurobiology, the electrical and chemical signals are transmitted through the gaps between the nerve cells which is called as synapses and the transmitted chemicals are called as a neurotransmitter, which regulates the vital body functions. Cellular neurobiology is the branch of neuroscience which deals with functions and organization neurons at cellular levels. It details about physiological properties and morphology of single neurons or nerve cells. Various techniques are accustomed to studying the activity of cells like intracellular recording, patch-clamp, and voltage-clamp technique, pharmacological medicine, confocal imaging, biological science, two-photon laser scanning research, and Ca2+ imaging. Neurons are the cells which play a vital role in the nervous system and other major cells are glial cells which supports the neurons and in modulating the synapses. Any disorder related to the nervous system comes under the category of neurological disorders. Although both brain and spinal cord are surrounded by tough membranes, by bones of the skull and spinal vertebrae and isolated by the blood-brain barrier. Involvement for neurologic disorders includes preventative measure like lifestyle changes, physical therapy, operations, medication, and neurorehabilitation. Neurological problem’s specific causes vary however genetic disorders, infections, inherent abnormalities, and brain injury together with deficiency disease, neural structure or nerve injury. Millions of people are affected by neurological disorders; more than 6 million people die each year because of stroke, over 80% of these deaths take place in developed and developing countries. Neuropsychology is the field of psychological science that deals with the study of the structure and performance of the brain. It aims to understand how cognition and behavior are influenced by brain functioning and behavioral and cognitive aspects of diagnosis and treatment of neurological disorders. In higher primates, it has also been applied to record the electrical activity from cells. Injuries, sickness and different diseases of the brain will have an effect on a person’s thanks to feeling, think, and behave, neuropsychological study here helps in evaluating and treating numerous types of disorders. Neuropharmacology is the study which deals with the effects of drugs on the cellular and molecular functions of the nervous system. There are major two primary parts in neuropharmacology. They are behavioral and molecular neuropharmacology. Behavioral neuropharmacology deals with the study of how the drugs affect the behavior of human as well as the study of however drug dependence and addiction has an effect on the human brain. Molecular neuropharmacology deals with the study of neurons and their organic compound interactions, with the general goal of developing a medication that has useful effects on neurologic function. Both of those fields are closely connected since each square measure involved with the interactions of neurotransmitters, neuropeptides, neurohormones, neuromodulators, enzymes, second messengers, cotransporters, ion channels, and receptor proteins in the central and peripheral nervous systems. Electrophysiology is the field of study that deals with the electrical properties and activities of biological cells and tissues. It helps in studying the generation of the electrical signals and their effect on the body. EPS is the test that is carried to understand the nature of abnormal heart rhythms, known as arrhythmias. The other aspects of electrophysiology are implanting cardiac devices to regulate the heartbeat. Also, an electrical signal in the retina is a pre-installed property of the nervous system which remains electrically active at all times and the standard of activity alters with excitation. Ophthalmologist drops light on the retina to excite the retina, a number of responses can be stimulated from different layers of retina with then are recorded and observed. Behavioral psychology is a systematic approach to understanding the behavior of humans and other animals. This states that all the behaviors are either responses or reflexes to the respective stimuli in the environment, or are the result of an individual’s history, especially including reinforcement and punishment. 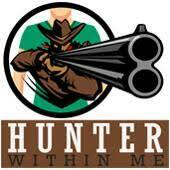 This whole together with the individual’s current state and controlling stimuli decides one’s behavior. The researchers and scientists who study behavioral psychologies are striving to understand why we behave the way we do now. Also, scientists are concerned with discovering patterns in the action and behaviors of human and animals with the hope that behavioral psychology can help us to predict how an individual will behave in a situation. Physiological Psychology is a subfield of Psychology that deals with the behavioral effects of physiology. It can help in uncovering many facts and myths about human behavior and helps us to gain knowledge about the mechanisms of the nervous system. Physiological psychology describes brain-behavior relationships and many other topics relating the aspects behavior of the body or activity in an organism to a body’s response. Like sleep, emotion, ingestion, senses, reproductive behavior, learning/memory, communication, and neurologic disorders are the fields in which Physiological psychologists typically focus their attention. Social Psychology deals with the study of people’s behavioral like feel and acts within the context of society. In addition, it influences the psychological study involving social impact in it. The presence of others affects the individual’s outlook in such the way that even once alone society influence persists in our mind. This interaction and impact of society on one’s psychology help in studying the way these feelings, intentions, and behavior are constructed and how these mental states influence the interactions with others. Additionally, social psychologists explain social things are the results of psychological state and human behavior. Brain Mapping is the study of brain anatomy and performance using imaging and different non-imaging techniques. Basically, brain mapping is that the higher type of neuroimaging made by the results of processing and analysis, generally from the behavior and brain response. The technique stands nowhere individually but relies on precision in image representation, analysis, and other techniques. Brian mapping is constantly evolving in order to provide a solid understanding of brain anatomy. It helps in characteristic elements of the brain like anterior cortex and first cortical area. It also makes it easier to study about how human learns, understands and react. The neurodevelopmental issue is the weaknesses of the development and improvement of the cerebrum or focal sensory system. A smaller utilization of the term alludes to the confusion of cerebrum work that influences feeling, learning capacity, poise and memory and that unfurls as an individual creates and develops. Gliogenesis results in the formation of non-neuronal glial populations derived from multipotent neural stem cells. In this ability, glial cells offer a couple of functions to both the central nervous system (CNS) and the peripheral nervous system (PNS). Subsequent differentiation of neuroglial cell populations ends up in function-specialized glial lineages. Computational neuroscience is the branch of neuroscience which deals with theoretical analysis, mathematical modeling and abstractions of the brain. Research in computational neuroscience includes various areas of inquiry. Major topics in procedure neurobiology are Single nerve cell modeling; Development, nerve fiber patterning, and guidance; Sensory processing; Memory and synaptic plasticity; Behaviors of networks; psychological feature, discrimination, and learning. Clinical neurobiology is the scientific study of basic mechanism that causes diseases and disorders within the brain and central nervous system. It helps in seeking new ways of diagnosis for those disorders and diseases which ultimately creates the development of novel treatments. Clinical neuroscientists are specialized in their particular field to create diagnosis methods, prevention methods and the treatment of those disorders. Some of the disorders are Alzheimer's disease, amyotrophic lateral sclerosis, anxiety disorders, attention deficit hyperactivity disorder, autism, bipolar disorder, brain tumors, depression, Down syndrome, dyslexia, epilepsy, Huntington's disease, multiple sclerosis. Different approaches including molecular, cellular, functional, developmental, psychological, structural and medical aspects of the nervous system have broadened the scope of cognitive neuroscience over time. Different aspects of neurobiology have additionally given rise to different disciplines as neuroimaging, electrophysiological studies, neuroradiography, and neuro-cardiology. 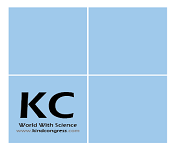 Cognitive Neuroscience Congress is one among its sorts, worldwide distinguished academics in the field of neuroscience, cognition, neurology and other related disciplines (scientists, industry researchers, public health professionals, scholars) will share a platform to exchange regarding the state of the art analysis and technologies. Dubai is the most populous and largest city in the United Arab Emirates with the gross domestic product of about $90 billion. Dubai supports the emirate’s hospitality sector as well as a large retail industry. 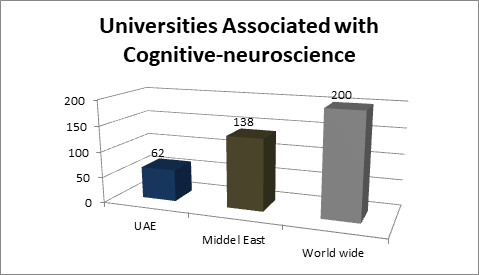 There are around 25 universities in and around UAE that are operating within the field of neurobiology and cognitive neurology. Around 1000 neurologists, psychiatrist, electro-physiologist are working exclusively on neurological studies and cognition. 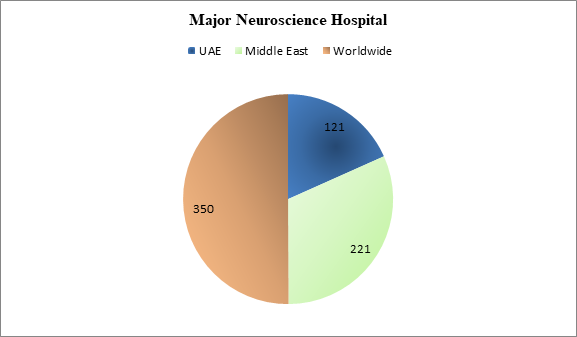 There are around 280 neurologists registered in dubai with over 9 million of a population. Having more doctors and researchers in neurology is very important as it is sure that the population will continue to increase age. Cognitive Neuroscience Congress is a unique forum to bring together worldwide distinguished academics in the field of neuroscience and neurology, Brain researchers, public health professionals, scientists, academic scientists, industry researchers, scholars to exchange regarding state of the art analysis and technologies. The aim of this conference is to stimulate new ideas for brand new approaches towards the understanding and treatment that may be useful across the spectrum of neurocognition. Directors, Neurologist, Neurosurgeons, Psychiatrist, Psychologist, Professors and Students from Academia in the research of Neuroscience. 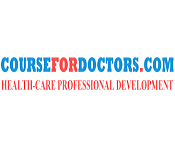 Neurophysiologists, Neurologists, Neurosurgeons, Neuroradiologists, Cardiology, Electrophysiologists, Ophthalmologists, Psychiatrists, Physiatrists, Pharmacists, Research scientists, Neurology Organizations and societies. American Board of Psychiatry and Neurology (ABPN), American Society of Neuroimaging, Medical and health professional associations in Chicago‎, American Academy of Neurology (AAN), American Society of Neuroimaging, American Neurological Association (ANA), American Society of Neuroimaging, American Society of Neuroimaging, American Association of Neurological Surgeons, American Spinal Injury Association, National Institute of Neurological Disorders and Stroke, American Epilepsy Society, , Child Neurology Society, American Academy of Family Physicians‎, American Association for Cancer Research, American dental organizations‎, American Psychiatric Association, The American Clinical Neurophysiology Society, American Anthropometric Society, American Autonomic Society, American College of Neuropsychopharmacology, American Neuropsychiatric Association, American Society for Neurochemistry, Institute for Music and Neurologic Function, Davis Phinney Foundation, Dravet Syndrome Foundation, Peripheral Nerve Society, Society of Neuroscience, Society of Women's health Research, United Council for Neurological Subspecialties, National Neurotrauma Society, National Society of Genetic Counselers, International Brain Injury Association, Congress of Neurological Surgeons, International Psychogeriatric Association. Association of British Neurologists, European Federation of Neurological Societies, Brain Research Trust, European Parkinson's disease Association, Turkish Neurological Society, Neurological Society of Serbia, Brain Research Trust, European Academy of Neurology, European Brain Council, British Neuropathological Society, Swiss Society of Neurology, Netherlands Society of Neurology, Scientific Society of Neurologists of the Ukraine, Moldovan Scientific Society of Neurologists, Association of Neurologists in Bosnia and Herzegovina, Bulgarian Society of Neurology, Croatian Neurological Society, Carlo Besta Neurological Institute, Czech Neurological Society, Geogrian Society of Neurologists, German Society of Neurology, Hellenic Neurological Society, Hungarian Society of Neurology and Psychiatry, Icelandic Neurological Society, Irish Institute of Clinical Neuroscience, Israel Neurological Association, Italian Society of Neurology, Portuguese Society of Neurology (Sociedade Portuguesa de Neurologia), Romanian Society of Neurology, All-Russian Society of Neurologists, Neurological Society of Serbia. Iranian Neurological Association, Iraq Neurological Society, Qatar Neuroscience Club, Indonesian Neurological Association, Neurological Society of India, Japanese Society of Neurology, Mongolian Association of Neurologist, The Jordan Neurological Society, Hong Kong Neurological Society, Indian Academy of Neurology, Kuwait Neurological Society, CHIMES Society, Danish Headache Center, Israel Neurological Association, League of Neurologists of Kazakhstan, Korean Neurological Association, Philippian Neurological Society, Saudi Neurological Society, National Association of Neurologists of the Kyrgyz Republic, Malaysia Society of Neuroscience, Myanmar Society of Neurology, Oman Neurology Society, Pakistan Society of Neurology, Palestinian Neurological Society, European Federation of Neurological Societies, European Parkinson's diesease association, European Neurological Society, International Neuromodulation Society, International Stroke Society, Italian Neurological Society, Southern Clinical Neurological Society, World Federation of Neurology. 25th Cognitive Neuroscience Congress was organized during November 12-13, 2018 at Dubai, UAE. With the support and contribution of the Organizing Committee Members, we successfully hosted the event at the conference venue. Firstly we must thank you for trusting us and participating at Neurocognitive 2018, a global platform to discuss various important aspects of Neurology and Neuroscience. There are infinite reasons to extend our gratitude to you for making the Neurocognitive 2018 outstanding conference. We couldn't have done it without your continuous support and believe towards our organization, which mutually made to achieve Neurocognitive 2018 new height in the field of Neurology and Neuroscience. The conference was organized around the theme “Scientific gathering to unleash the new horizons in neurocognitive study”. The event implanted a firm relation of upcoming strategies in the field of Neurology with the scientific community. The conceptual and applicable knowledge shared, will also foster organizational collaborations to nurture scientific accelerations. Zainab Quresh Mohammad Adenwalla, Coventry University, UK was the moderator of Neurocognitive 2018. 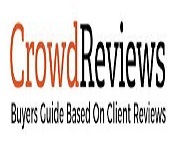 We are much thankful to Zainab Quresh Mohammad Adenwalla for her great support and help. The conference proceedings were carried out through various Scientific-sessions and plenary lectures, of which the following Speakers were highlighted as Keynote speakers: Efthymios Paptzikis, Canadian University Dubai, UAE. 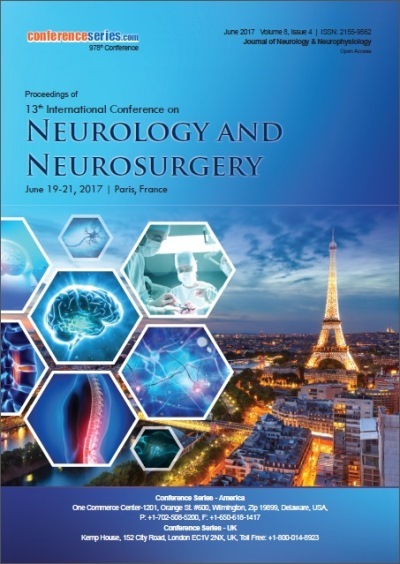 The conference witnessed an amalgamation of peerless speakers, Keynote speakers, well-known researchers and delegates who enlightened the crowd with their enviable research knowledge and on various alluring topics related to the field of Neurology through their fabulous presentations at the podium of Neurocognitive 2018. 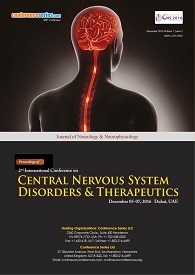 Conferenceseries LLC offers its heartfelt appreciation to all the Organizing Committee Members, Chairs and Co-chairs, Speakers, Students, Media Partners and Editorial Board Members of Journal of Neurology & Neurophysiology, International Journal of Neurorehabilitation and Journal of Neurological Disorders who supported the conference in every aspect for the awe-inspiring exhibition at the venue. 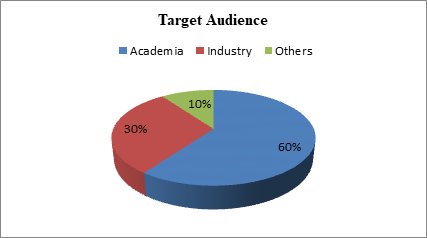 We are also obliged to various delegate experts, company representatives and other eminent personalities who supported the conference by facilitating active discussion forums. We sincerely thank the Organizing Committee Members: Reza Nejat, Bazarganan Hospital, Iran, Efthymios Paptzikis, Canadian University Dubai, UAE. So as a continuation of Neurocognitive 2018, we would like to heartily invite you to our upcoming 26th Cognitive Neuroscience Congress scheduled to be held in Dubai, UAE during December 9-10, 2019.